It is crazy to think about, but just sixty years ago, everyone assumed that as we age we would lose all of our teeth. But that is just not what is happening. Adults are keeping their natural teeth longer than ever. Your teeth and mouth help you look good, eat yummy food and speak clearly and with confidence. Having a healthy mouth is a must if you want a good quality life. Having and maintaining good oral health habits is so important. Unhealthy bacteria in the mouth not only harms your teeth and gums but is now being linked to serious medical conditions. Infections in the mouth in older adults may lead to heart disease, stroke, diabetes, pneumonia and other health problems. Having good oral hygiene is not hard and really only takes just a few simple steps: brushing and flossing daily, visiting your dentist at least twice a year for cleanings and exams and eating nutritious foods. Just because you are aging does not mean that you no longer need to take care of yourself, especially your teeth. 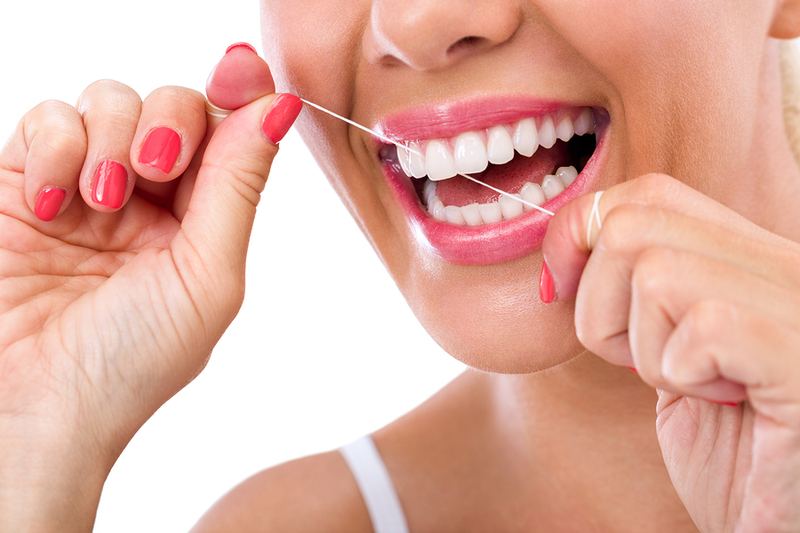 Brushing and flossing is just as important to you as it is for those grandkids. As adults, we can go years without cavities…….but your risk of cavities actually increase with age. One of the main contributors to cavities and tooth decay is dry mouth. Dry mouth is more common the older you get because it is a side effect of quite a few prescription medications. Choose a toothbrush with soft bristles and a small head, so that it can easily reach into those “hard to reach” areas. Make sure you are also using fluoride toothpaste. Replace your toothbrush at least every three to four months, or if it is fraying, replace it sooner. If arthritis or any other condition limits your ability to brush thoroughly, try an electric toothbrush.